Once upon a time, in the far-away land of Tewkesbury, Gloucestershire, a company called Gaudio received a magical design brief. The legends said that the team at Gaudio could grant wishes, and in return they needed just three things; a brief, a brand, and a budget. Gaudio is dedicated to the design and manufacture of the most enchanting bespoke awards in all the land and, on one fateful day, the Aviva ACE Awards were born. 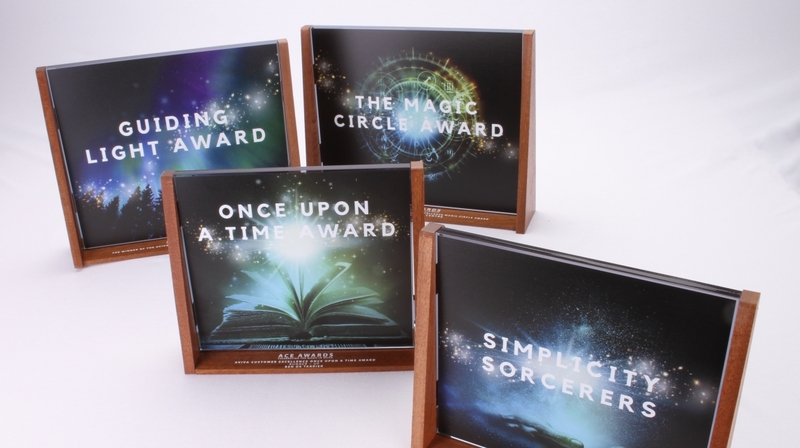 Every award is magical at Gaudio, but the Aviva ACE Awards gave us a little bit of their own magic to work with. 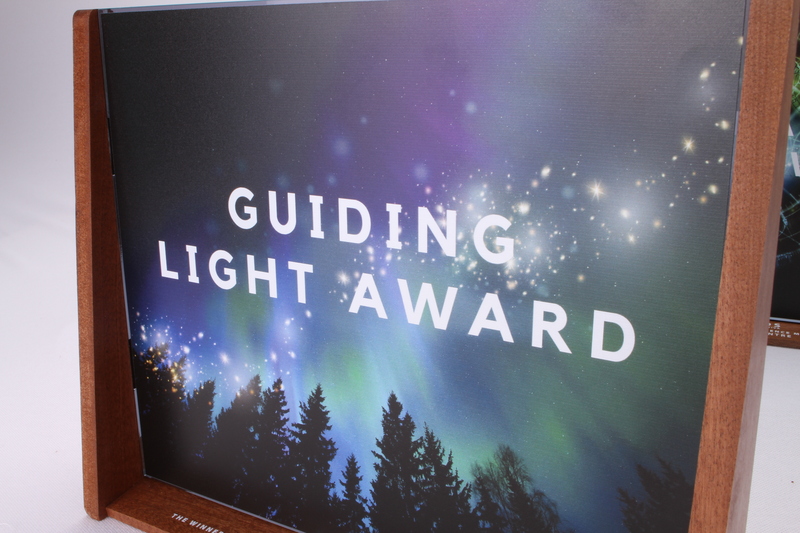 Our design team are experts in seamlessly integrating event branding, artwork or graphics into a bespoke award, and the category artwork with this brief gave us more than enough inspiration for awards that would embrace the theme. 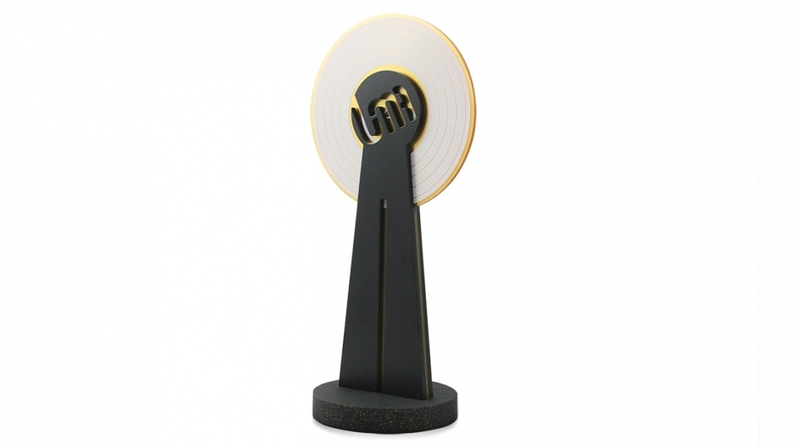 As a contemporary alternative to the classic trophy, freestanding awards are fast becoming one of our most popular design choices. 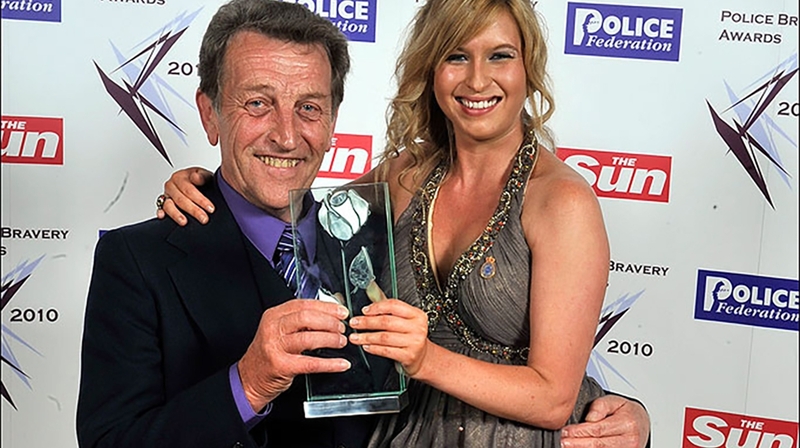 The Aviva ACE Awards are the perfect piece to display in the office or at home, and the final trophies are available in two sizes for winners and runners-up. Our in-house UV printers can print crisp, colour-accurate graphics, ideal for large pieces of artwork, as well as specific branding. Printed onto smoked black acrylic, the Aviva category artwork had an undoubtedly bewitching look. 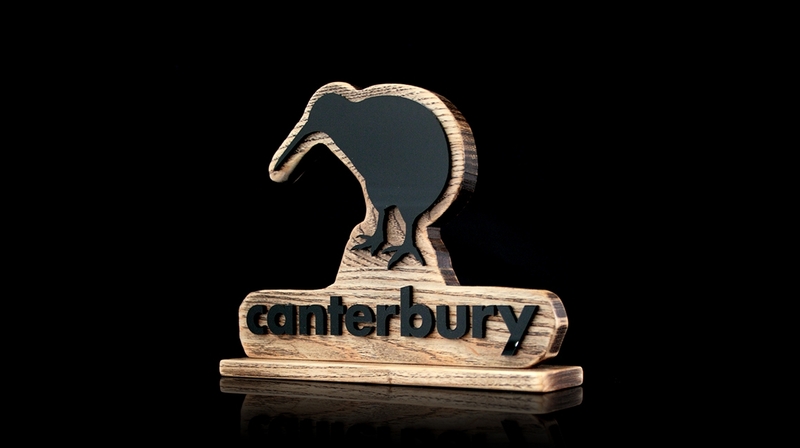 We understand the importance of awards to companies and recipients, and for that reason we don’t charge for individual personalisation. 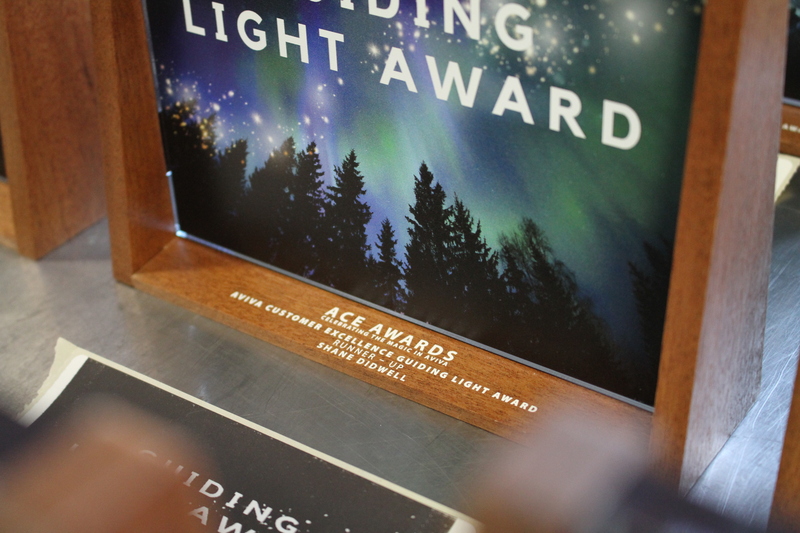 Each wooden frame has a custom print with the category and winners’ details in white. If you’ve got a story to tell with your event, our expert team can help. Call us on 01242 232 383. Alternatively, email sales@gaudio.co.uk, or enquire online using our enquiry form. One of our Project Managers will be in touch to discuss your requirements.